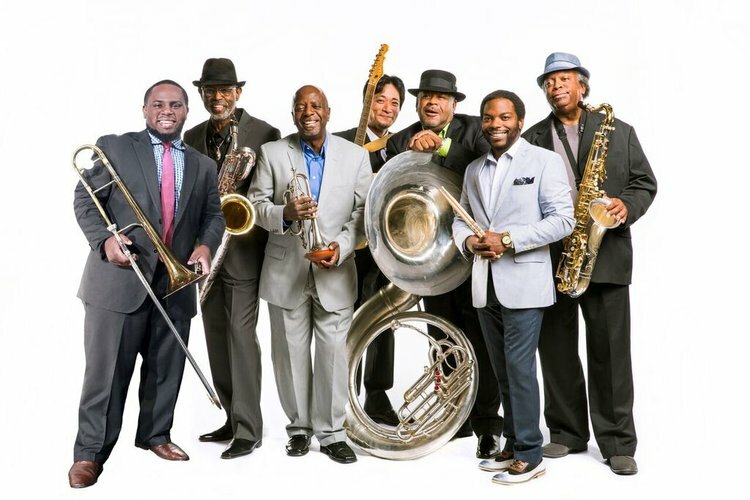 Celebrating 40 years since their founding in 1977, New Orleans-based Dirty Dozen Brass Band has taken the traditional foundation of brass band music and incorporated it into a blend of genres including bebop jazz, funk and R&B/soul. This unique sound, described by the band as a “musical gumbo,” has allowed the Dirty Dozen to tour across five continents and 30 countries, record 12 studio albums and collaborate with a range of artists from Modest Mouse to Widespread Panic to Norah Jones. Forty years later, the Dirty Dozen Brass Band is a world-famous music machine whose name is synonymous with genre-bending romps and high-octane performances.